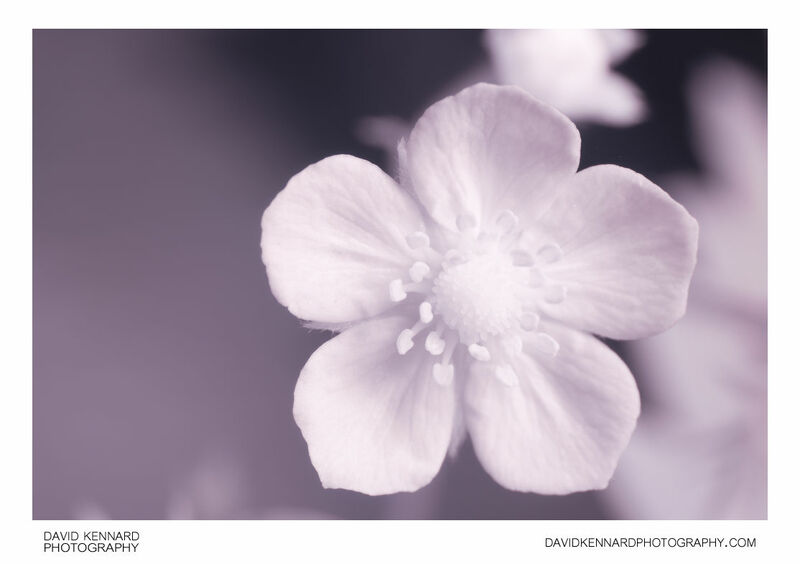 Close-up photograph of the small flower of a Wild Strawberry plant in infrared. Wild Strawberries are also known as Woodland strawberry, European strawberry, or Fraises des bois. The binomial name for the plant is Fragaria vesca.